Today marks the 4-year anniversary of the accident that took the lives of my children and changed my life forever. Anniversary . . . . . . it really does not seem like the right word to use. To me an anniversary indicates a happy event, an event worth celebrating. Today is not about celebrating, it is about remembering. It has been 4 years since I have seen my children. There are so many things I have missed in those 4 years. I have missed having mountains of laundry to do. I have missed breaking up fights. I have missed navigating the messy bedroom just to tuck them in and say goodnight. I have missed stepping on Legos. Yes . . . I do miss this! I have missed the incessant questions. I have missed repeating myself because they were not listening the first 40 times. I have missed the bickering. I have missed the back talk. I have missed the “can’t keep it clean” house. I have missed the creativity. I have missed watching kid movies and tv shows. I have missed reading stories at bedtime. I have missed the laughter. I have missed the joking and goofiness. I have missed the craziness that having boys brings into your life. I have missed their hugs. I have missed touching them and having them touch me. I have missed my boys. My answer to that question is simple. I would ask God to allow me to see the far reaching effect my life has had on other people. I want to know that what I am going through has meaning. I want to know that someone is living a better life because of what I have been asked to deal with. I have friends tell me how their friends have been affected by my story. These are people I don’t know. I love hearing these stories, but I want to know more. I want to see the whole story of my life, the part that only God can see. I would love to see the part of my life that God can see, that kept him from stopping the accident from happening. 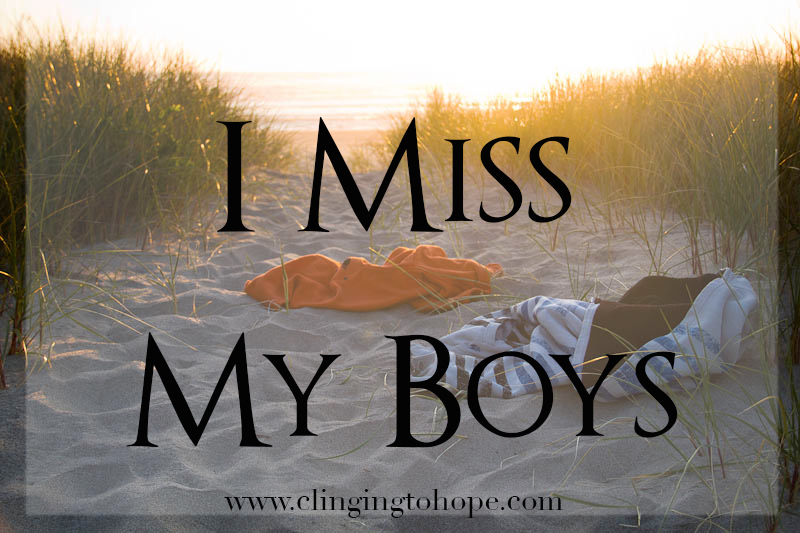 I want to know and understand why I have to live the rest of my life without my boys. 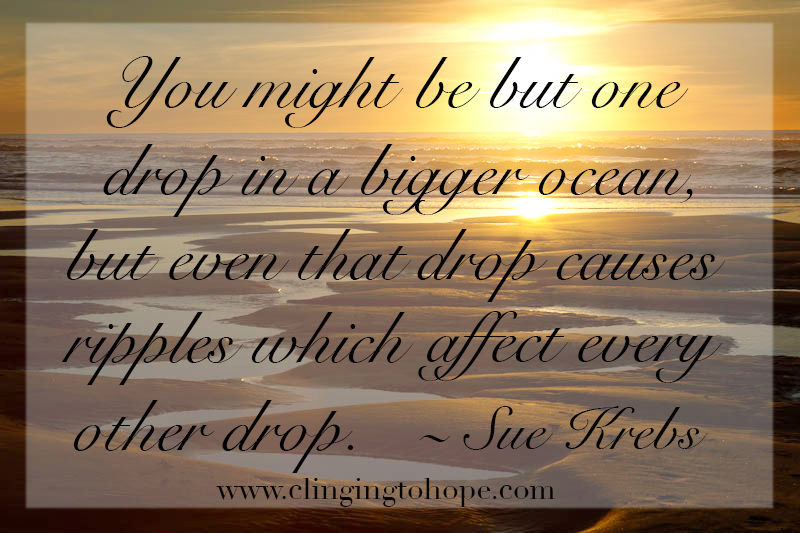 I want to see what God can see . . . . the ripple effect. I know I will probably never be privy to this information this side of Heaven. But I sure hope that God allows me to see the ripple effect of my life when I get Home. Ripple Effect….great question! Love this blog post…great job! Me too and yes. It’s been 4 years since my loving son died in my embrace. He was only 16. You have spoken the thoughts of my heart. Thank you for your post. You are welcome Billie. I am sorry for the loss of your son.